Hot and spicy, sweet and yummy; all bundled in one and this is the specialty of the Indian street food. Traditionally Indian street food menu was limited to: Vada Pav, Pav Bhagi, Dhokla, Chaats, Kachori, Gol gappa, Pakoras, Kulfi faluda and a few other such variants. The popularity of Indian street food is more than ever before. Today the street food ranges from chaats and idlis, dosas, samosas, Samosa chaats, dahi vadas and so on. On top of this, Chinese fast foods are big time favourites in India, and you can easily find a place to taste those Manchurians and noodles. How to enjoy the delicacies on the street with caution? The street food is very popular among Indians. Almost all the strata of the Indian society hit the roads for ‘chaats’ during their shopping and outings. Even the kids go gaga over the road side delicacies even though western style fast food joints are popping up in every nook and corner serving pizzas and burgers. I think I have given you enough reasons to binge on the Indian fast foods on the streets. But, it’s very important to watch what you eat and where you eat. The place and the conditions where you eat matters – First and foremost, watch out for the places where you eat. Street foods are better enjoyed on streets; but these places and the food you get there might not be suitable for you. The food is prepared then and there in the open air and the cleanliness and hygiene are often at stake. The utensils they cook in, the plates they serve in and the water they use to cook and clean the vessels are some of the many things you may have to consider before eating the food. This might be OK for the average Indian but may not be ideal for the tourists coming from Europe and beyond. The road side place where the Indian street food vendors deliver the food might be unhygienic. Watch out for flies that might as well be enjoying the menu! The surroundings of the portable street food joint might be unfit for food merchandizing! You must look at the cleaning procedures of the plates and spoons used to serve the food. Most of the times they are washed without cleaning agents; even if they do use water, that might not be clean as well. India is well known for its spicy food. The variety of ingredients that goes into one single dish is absolutely amazing. Sometimes 10 to 15 different ingredients are used in a single recipe. And this excluding the particular masala meant for a specific dish which in turn is made up of a range of spices. Since Indians are well used to eating such kind of spicy food very often it goes unsaid that they are immune to street food! However, people travelling to India from across the globe should be cautious about what they eat, especially when it comes to Indian street food recipes. Indian street food is generally rich in spices, often fat, carbohydrates and often not easy on the stomach if you are not used to it. For instance; tamarind, chilli powder, masalas, green chilli paste and other combinations of such ingredients goes into chaats and other delicacies. Along with these ingredients many recipes also have deep fried ‘puris’ and/or samosas in it. Potatoes are also commonly added starch/carbohydrate in most of these famous recipes. You may have to enquire about the ingredients used in the dish from the vendor and find out if your appetite and stomach will allow you to snack on it or not. So, should you stop yourself from eating these lip smacking road side delicacies? Definitely Not! As I said earlier, when in India you cannot make the most out of your trip without trying the chaats and other Indian street foods on offer. The street food is also available in many restaurants that are more hygienic and offers slight sophistication such as air conditioning and decent seating areas. The menus would be the same and the quality is also maintained. Most of these restaurants can even customize the dish for you making the dish as you want to eat. You might even wish to ask for reduced spices or reduce certain ingredients to cater for your needs. It’s always a good idea to do your bit of homework on what goes into what. This can reduce a lot of agony the next morning. So whatever you do in India, don’t miss out on the Indian street foods. Indian street food, what do you think? Indian street food, its amazing how tempting it can be. Thanks for your comment. Hi Medha, street foods are something that we can’t resist no matter what we do or eat. Though I’m asked for not having the street foods but it has a special flavor to eat standing in open air! Nevertheless you’ve placed some sweet stuff in this post but I like more the spicy dish of street item which is called ‘panipuri’ ;). Wow…That food looks amazing. I think I just put on 5 pounds looking at that food. The foods are amazing I agree. Thanks for the tips Shalu! Definitely wouldn’t restrain myself from eating this food. Whenever I was in Kolkata or in Colombo I ate the most amazing food(although quite spicy for an European but I got used to it:). The food from these part of the world is amazing. You must come to India Michael one day, you will like it here. Greatest ” Pani Puri Video ” on internet. Very well filmed and edited. I saw almost 10 times! I think India’s and Pakistan’s foods are same, As I have visited Pakistan. I know what they eat most. HI Ehsan, The food of India and Pakistan would be more or less similar. South Indian foods will be different and cannot be found in Pakistan. Sometime we can’t be so alert about having street food for the concern of safety but I think it’s an amazing experience to have it; especially with friends I love to eat any junk or spicy food as it’s too good to avoid. Thanks for inform about another attractive option. For the weight loose session I’m asked for avoiding such kind of oily and sugary foods but the street food has an extra attraction what is truly unavoidable. I’ve a slight concept about Indian food so I’m feeling more excitement to taste it ;D. Thanks Shalu! Sounds delightful!! I’ve been told by friends not to eat outside the hotel because of my UK stomach tolerances, don’t think I could bear to walk past these places without trying something! Great post! Of course everyone will love to eat Indian street food, especially panipuri no one gonna miss it. You Describe Very Well About Our Indian Food and Also About Incredible India. I agree with you that all street food may unhealthy, but street food lover doesn’t think about this thing. Whenever they see these foods, they go to have them. And I also like Golgappas most. Just Awesome list and love to see top street foods on Internet. Thanks for sharing this post. i really appreciate you work as a reader and a newbie blogger. 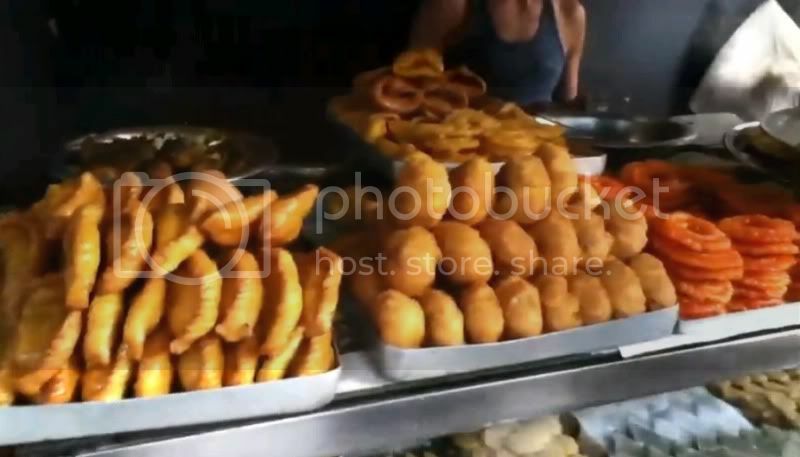 Indian street food ka name lete hi muh me pani aa jata hai mai bhi khane ka shoukin hu shalu ji apka ye blog maine pahali bar padha hai kisi bhi blog ka presentation kafi important hota hai jo apke blog me hai kafi jankari mile sukriya. I love the way you give knowledge about everything in a detailed way. Amazing Article. My favorite indian street food is Dhokla. Whenever I travel to India, I usually try it.